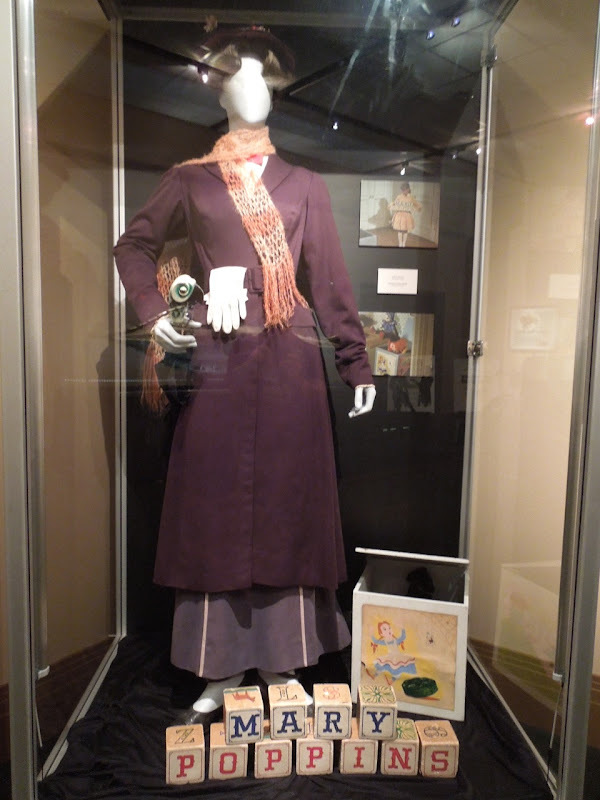 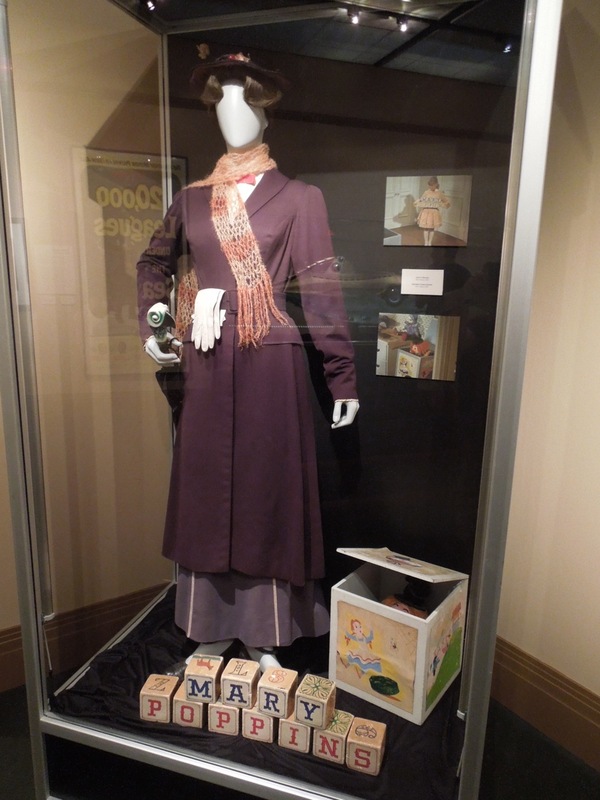 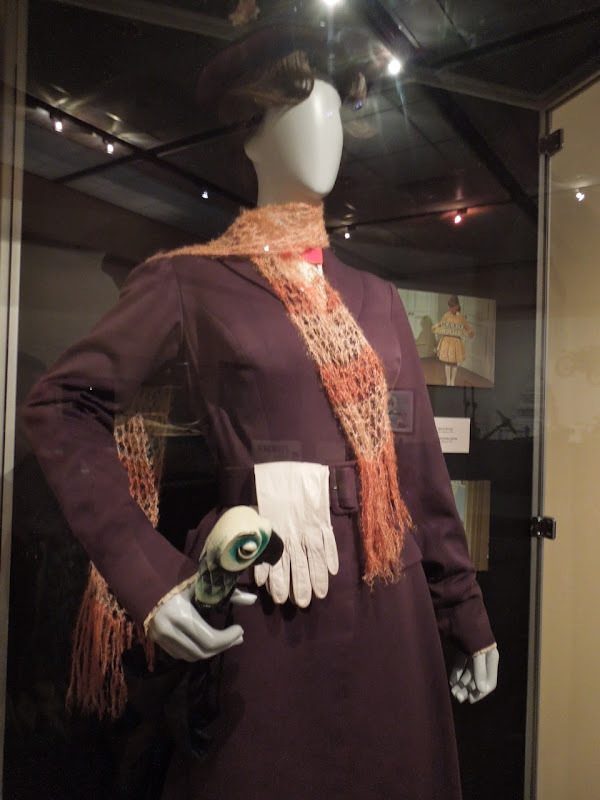 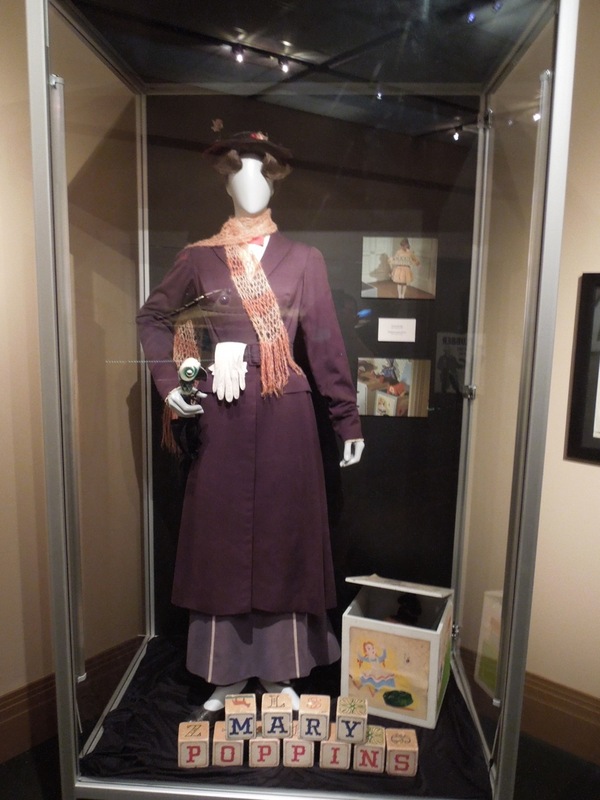 Generations of children and adults alike have enjoyed Disney's 1964 classic musical, Mary Poppins, and here's the magic nanny's iconic arrival outfit on display. 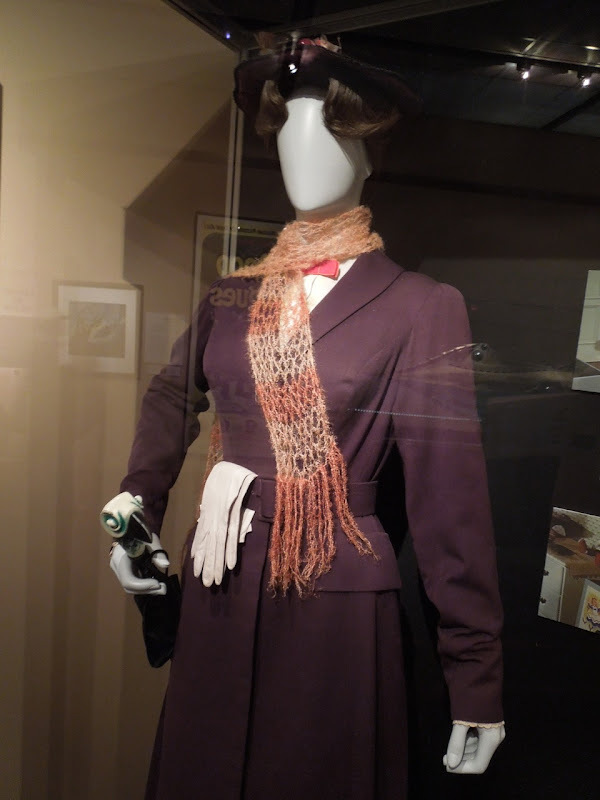 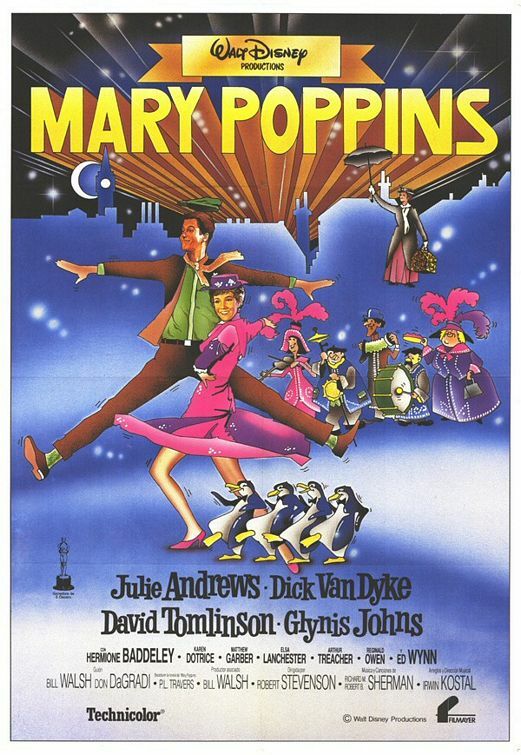 This classic movie costume was designed by Tony Walton (for which he received an Oscar nomination) and was photographed on display at the Treasures of the Walt Disney Archives exhibition at The Reagan Library on July 17, 2012. 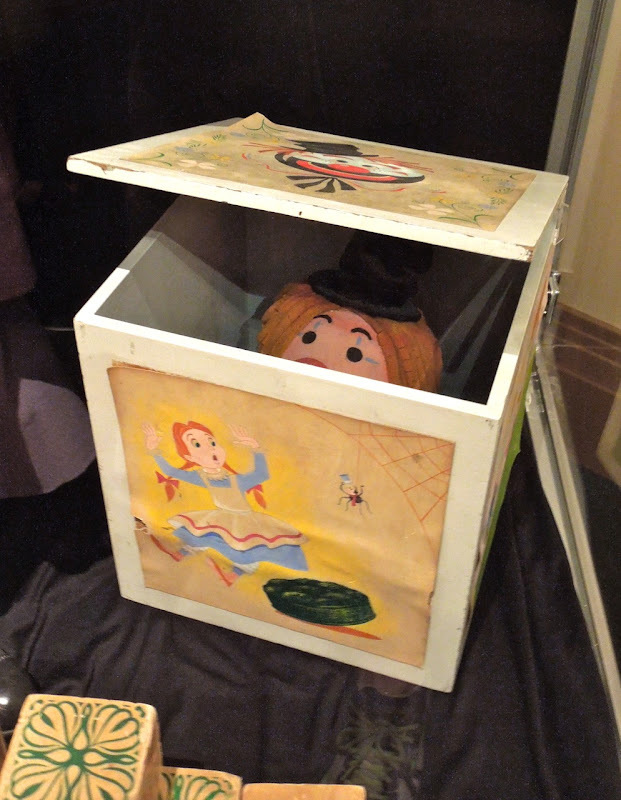 Also on display alongside the costume was a jack-in-the-box toy and alphabet building blocks featured in the movie too. 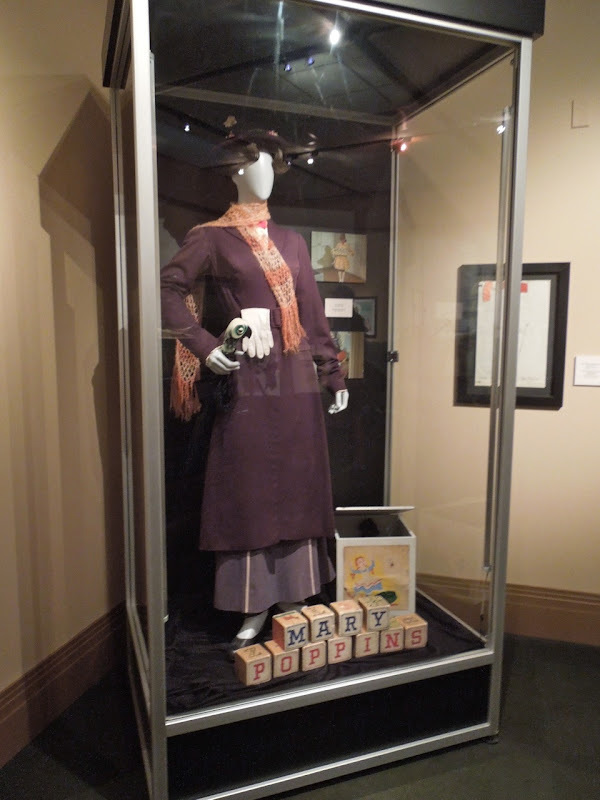 If you're a fan of the actress, be sure to also check out Julie Andrews zig-zag dress from Thoroughly Modern Millie on display.